Approx. 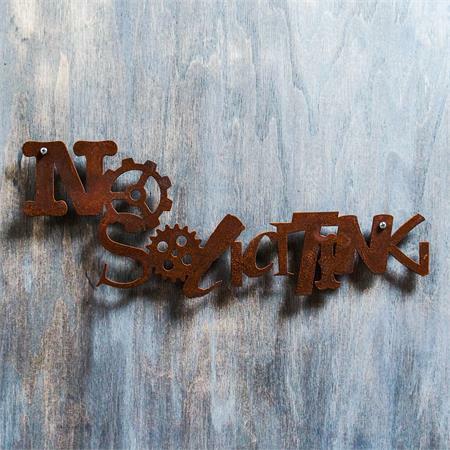 15.5" X 6" in 16ga rusted steel. This is a Natural Finish! Each sign is rusted with our recipe of special ingredients and sealed. Since we are accelerating what naturally happens to weather exposed steel, the initial rusting done in our shop is delicate and a clear sealer is applied to protect it. 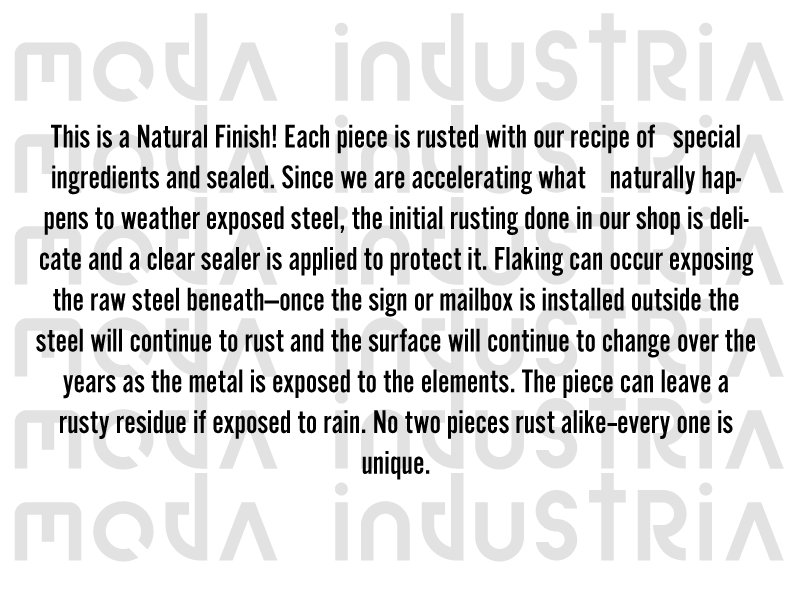 Flaking can occur exposing the raw steel beneath—once the sign or mailbox is installed outside the steel will continue to rust and the surface will continue to change over the years as the metal is exposed to the elements. The sign or mailbox can leave a rusty residue if exposed to rain. No two pieces rust alike--every one is unique. If you do not want a sign that will continue to age and rust please consider a sign or mailbox in aluminum or stainless steel.